I saw these magnets on Urban Outfitters the other day. I was totally inspired! 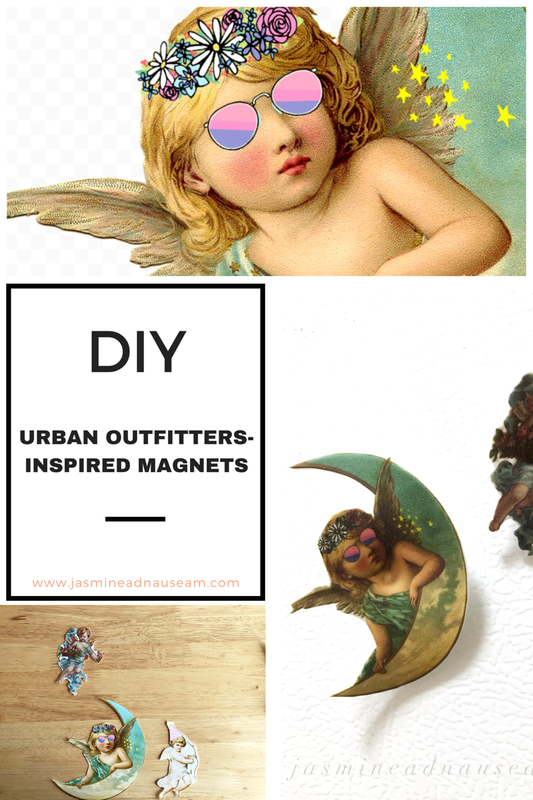 If you’ve been wanting to up your refrigerator game or if your refrigerator has been begging you for a facelift but you also rent your place and actually your refrigerator belongs to your landlord then you, my dear, need to invest in some one-of-a-kind magnets. Find some cute cherub images online. An optional step is to edit them using some apps to spruce them up. I used A Design Kit to add some flower crown and shades to a cherub because WHY NOT QUEEN? Also you can use ANY image. I made one of these magnets using a Michael Scott meme. Choose images that are reasonably high quality, like around than 2 mb. This is to ensure they aren’t pixelated when it’s printed. Lay out the cherubs on a word processor. Make them 3 times bigger than what you want them to actually be. Because , as the Shrink paper name implies, they will shrink. Print the cherubs on the Shrink Paper. Cut out the images you want for your magnets. Bake them as the shrink paper package instructs. Attach the magnets to the backs of the new shrunken papers and voila! As soon as the glue dries you can use them on your refrigerator/icebox. I called it an icebox as a kid and sometimes still do. Get yourself some shrink paper and fill your fridge with magnet goodness! You can even use magnet strips. I’ve seen that at the hardware stores too! 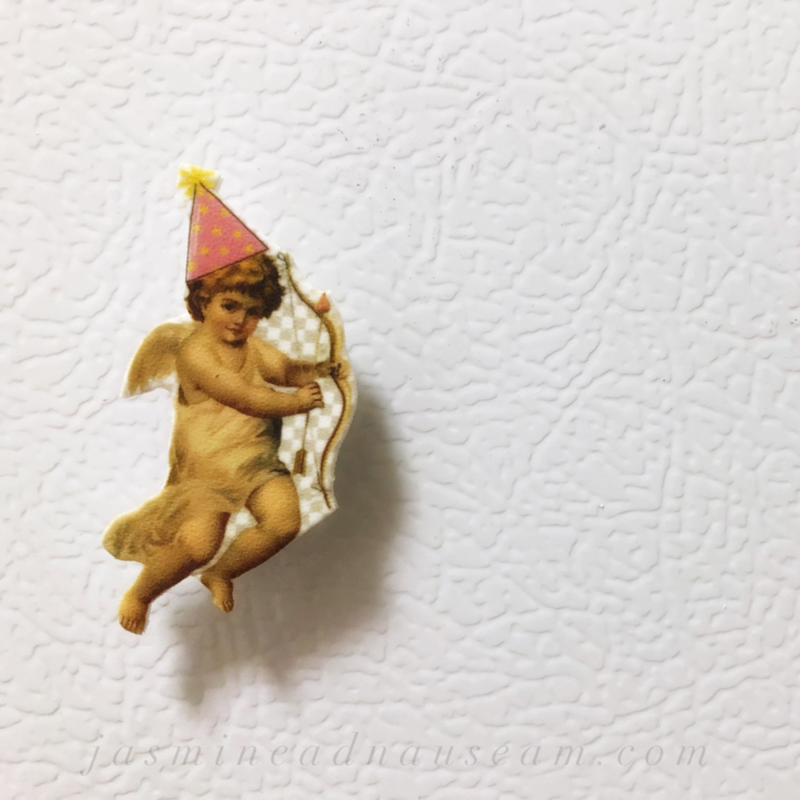 Make magnets of yourself as a cherub! Seeing as I have used up my exclamation point quota on this post, I shall see my way out. Note: This post contains affiliate links which means I might earn a small commission at no cost to you. Thank you!